The Incredibly True Adventures of an EdTech Trailblazer: #USEdChat Twitter Party! This past Monday night my amazingly energetic & innovative administrators held a Twitter Party in The Library@HHS for the #USEdChat Twitter Session. 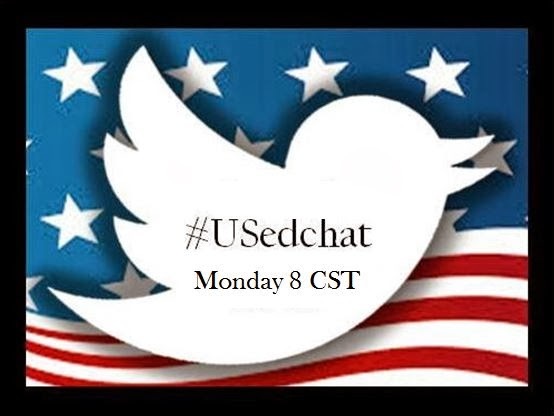 Holly Sutherland and Jennifer Hogan both moderate #USEdChat along with other administrators/moderators from state edchats around the country. The purpose of the #USEdChat is to bring the various state edchats together on a quarterly basis for a discussion of a topical issue in education. 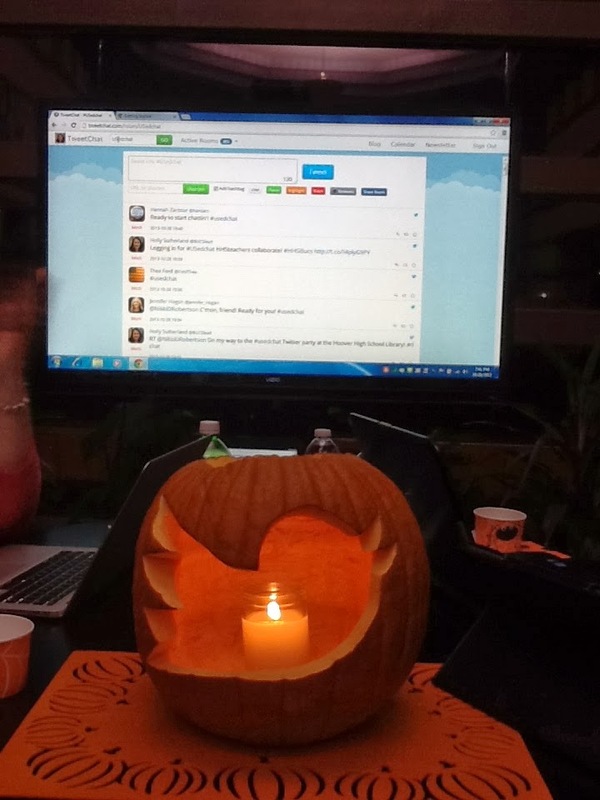 The purpose of the in person Twitter Party was to provide a supportive environment to help those teachers who wish to participate in the Twitter chat but aren't quite sure how to use the technology. The night was fun, jovial and informative. At one point we were all laughing so much someone snorted! LOL! Near the end of the night one teacher new to Twitter commented, "It's almost over already?!" Want your teachers to realize the amazing professional development power of Twitter? Model and lead by example like Holly Sutherland and Jennifer Hogan.